Several other water systems in the community received citations following the rain events of late October. You can view those on the State Water Resources Control Board’s website under Placer County Drinking Water Enforcement Actions. The only water system that tested positive for E. coli in these reports was Elevation 8200’ Water Company — which is operated by Squaw Valley. OLYMPIC VALLEY, Calif. — Six weeks after E. coli was first detected in Squaw Valley’s Upper Mountain facilities, the cause remains unknown and unresolved despite repeated efforts to rid the system of its contaminants, officials said. “The test results so far indicate that the wells are not under the immediate influence of surface water intrusion, meaning that the design and construction of the well surface features seem to be preventing contamination from entering the system,” Placer County Environmental Health Director Wesley Nicks said in an email Monday. As the Sierra Sun reported on Nov. 29, Placer County’s Environmental Health Division first detected coliform bacteria, including E. coli, on Nov. 8 in Elevation 8200’ Water Company’s water system serving the High Camp and Gold Coast Funitel areas of the ski resort. Since, the four wells serving the Upper Mountain water system were being treated and showing decreasing levels of coliform and E. coli. The county reportedly allowed Squaw Valley to open Upper Mountain despite the contamination, as long as signs were posted and no water from that system was served to guests or used in any facility that prepares food. With that, the resort has been serving bottled water and prepackaged food. Both representatives from Squaw Valley and the county had said they expected the bacteria would clear up in a matter of days with continued treatment, but that didn’t happen. That’s when the resort started looking into building a water treatment system of its own to help speed things along. In an email Friday, Nicks said the State Water Resources Control Board had approved the plans, and was hopeful the system could be installed this week. State Water Resources Control Board Public Information Officer Andrew DiLucca told the Sun in an email Tuesday morning staff wasn’t available before this story’s noon deadline Tuesday, but he did provide a general description of the kind of surface water treatment plant that was proposed. 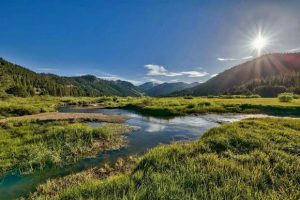 Elevation 8200’ Water Company Executive Vice President Mike Livak never responded to the Sierra Sun’s request for comment, but Squaw Valley Public Relations Coordinator Sam Kieckhefer did. 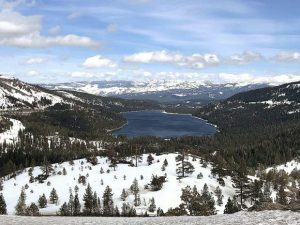 “After a great variety of tests, experts have ruled out system faults, concluding that the issues experienced by Squaw Valley’s Upper Mountain water system stemmed from the substantial rain event in late October,” Kieckhefer said in a Monday email. 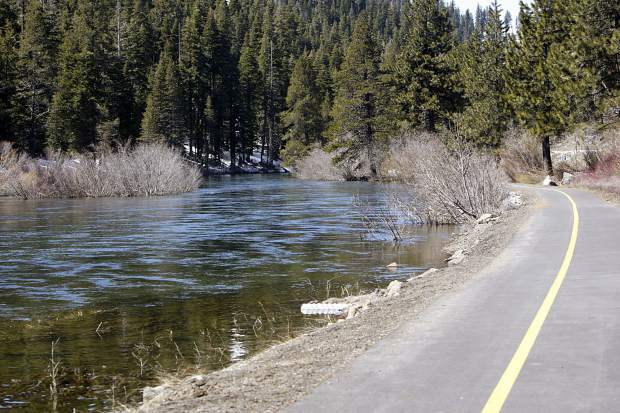 He added that the Squaw Valley Public Service District and Squaw Valley Mutual Water Company — and thus, drinking water for the resort’s base operations, as well as area residents — were not affected by the contamination. Further, while the timeline of the filtration installation depends on a number of factors, Upper Mountain could resume normal operations as early as this week, he said.